I am about to geek out on my type obsession and my thing for clocks, you have been warned. I have posted before about how I have a clock in every room of my house. I am always looking for more ideas on how to incorporate type into my surroundings. I am also on a mission to schedule more free time and make this the most stress free summer of the decade (I know the decade just started, but still). 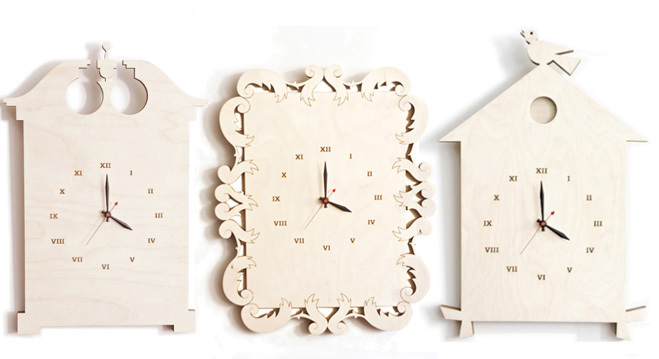 I love clocks and these little gems from Soho Clockworks just make me smile. The birdhouse is my fave.